For the business to survive, Uber has to repair its relationship with drivers, which leaders at the company say is "broken." On Tuesday, in an ongoing effort dubbed the "180 Days of Change," the company is announcing reforms to its harsh termination policies and launching a hotline so that drivers in distress can reach a person at corporate headquarters. Janelle Sallenave is in charge of improving the way Uber responds to drivers' and riders' needs, disputes and accidents. It's clear to her that drivers, the lifeblood of the transportation platform, are choosing to leave because of poor treatment. This is an existential threat to the business, valued at $70 billion, and it needs to be tackled, she says. Sallenave persuaded the executive leadership team, which is steering the ship while the Uber Board looks for a new CEO, to approve the creation of a hotline. Until now, Uber has not had a phone number for drivers to call, even in emergencies — such as an accident on the road or a violent passenger. In June, NPR reported on the difficulties this omission has created for drivers, in a series called "The Faceless Boss." Sallenave agrees with the characterization. "As we've grown into a global, scalable company," she says, "we need to move away from the facelessness of what the company has inadvertently become." In earlier days, Sallenave says, each city had a local team to oversee Uber operations and drivers might have the cell number of the general manager. But once Uber centralized its system, in an effort to aggressively scale up, "we were so focused on the rocket ship of growth" that corporate leaders let communication systems fall apart. "It evolved in a very organic way unfortunately to something that almost feels like a chatbot," she says. That is not a compliment. Drivers were forced to communicate with Uber via text messaging — six exchanges on average. Now, under the new system, they would be able to make one phone call instead. Uber is also reforming its three-strikes law. Previously, a driver with three complaints would be terminated from the platform. It would not matter whether the driver had completed 10 rides or 10,000. The policy was adversarial, and assumed drivers did not have positive intent. Now the company will consider a number of factors: how long a person has been driving, overall ratings, who are the people filing complaints. The decision to terminate, or in Uber lingo "deactivate," a driver will still be made by software, but using a far more complex formula that Sallenave hopes is "holistic." Uber is also working to replicate an appeals panel that the company piloted in Seattle, for drivers who believe they've been unfairly terminated. 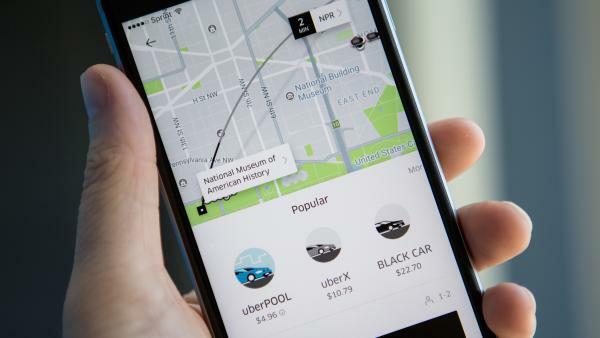 More than half a million people a month in the U.S. drive for Uber. The company has not disclosed how many choose to leave the platform. But as Sallenave acknowledges, in the gig economy it's easy to leave one job for another, to switch from Uber to competitor Lyft or a food delivery service. Drivers have welcomed Uber's recent overtures — such as the move to allow in-app tipping — but it's not yet clear whether this effort will inspire loyalty, or if other changes by Uber will undermine these efforts. Dawn Gearhart, policy coordinator with the Teamsters Local 117 in Seattle, says Uber is feeling pressure on every front — not just from competitors, but also from efforts to organize drivers into labor unions such as hers. When a company feels threatened by organizing, she says, it's "standard practice" to dole out small wins to workers, such as vacation or a slight raise. "These things are not happening because somebody at the company woke up and they decided they were feeling better about the workers," Gearhart says. "They just want to make sure that they maintain the balance of power." She also points out that in recent weeks, many Uber drivers are earning less per ride because the company changed its fare structure. A study commissioned by Uber indicates that even when fares go down, drivers' earnings remain stable because demand for rides is up. Uber has to find a new CEO. The company also needs to repair the relationship it has with its drivers, which leaders say is broken. So Uber is changing its harsh policies around firing, and it's launching a new telephone hotline. NPR's Aarti Shahani has more. AARTI SHAHANI, BYLINE: Today, as part of an ongoing effort called 180 Days of Change, Uber is reforming its three strikes law. Before, a driver with three complaints of dangerous driving would be terminated even if the driver had completed 10,000 rides that were five-star perfect. Now Janelle Sallenave, who heads driver relations, explains Uber is tweaking its firing formula to consider several factors. JANELLE SALLENAVE: How long you've been driving, your ratings, when you've received these reports of dangerous driving, who are the people making those reports. SHAHANI: So the decision to deactivate someone, as Uber calls it, is still made by software, but the formula is more complex. SALLENAVE: It went from a hammer to a much finer scalpel. SHAHANI: More than half a million people a month in the U.S. drive for Uber. The company has not disclosed numbers on turnover - how many choose to leave the platform every month. But as Sallenave acknowledges, in the gig economy it's easy to leave, to switch from Uber to competitor Lyft or a food delivery service. Uber is also working to replicate an appeals panel that the company piloted in Seattle for drivers who believe they've been unfairly terminated. SALLENAVE: These are going to be really important ways that we can differentiate ourselves from other choices that they have. SHAHANI: Sallenave says she convinced the executive leadership team, which is steering the ship while the Uber board looks for a new CEO, to approve the creation of a phone hotline. Until now, Uber has not had a direct number for drivers to call, even in emergencies like when a driver gets in a car accident or gets attacked by a passenger. In June, NPR reported on the difficulties this omission has created for drivers in a series called "The Faceless Boss." Sallenave agrees with that description. SALLENAVE: As we've grown into a global scalable company, we need to move away from the facelessness of what the company has inadvertently become. SHAHANI: Drivers have welcomed Uber's previous overtures, such as the move to allow in-app tipping, but it's not yet clear if this effort will inspire loyalty. Dawn Gearhart, policy coordinator with the Teamsters Local 117 in Seattle, says Uber is feeling pressure on every front - not just from competitors, but also from efforts to organize drivers. When a company feels threatened by labor unions such as hers, she says, it's standard practice to dole out small wins to workers. DAWN GEARHART: And these things are not happening because somebody at the company woke up and they decided they were feeling better about the workers. They just want to make sure that they maintain the balance of power. SHAHANI: She also says that in recent weeks, some Uber drivers are earning less per ride because Uber changed its fare structure. A study commissioned by Uber indicates that even when fares go down, drivers' earnings remain stable because demand for rides is up. Aarti Shahani, NPR News, San Francisco. (SOUNDBITE OF AXEL KRYGIER'S "POSTCOLOMBINO") Transcript provided by NPR, Copyright NPR.